Campsite Château de Galinée is a campsite with 272 touring pitches and 30 year round pitches. 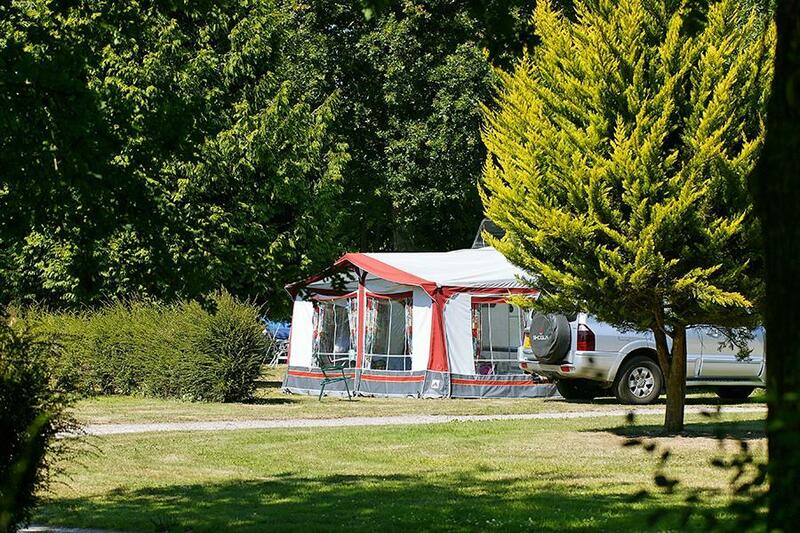 During low season, between 04-05-2019 - 08-07-2019 and 25-08-2019 - 07-09-2019, the nightly rate is €20,- at one of the 272 touring pitches at Campsite Château de Galinée in Saint-Cast-le-Guildo (Côtes-d'Armor). At this campsite you can not only use your CampingCard ACSI for inexpensive camping, you can also use your ACSI Club ID (as an alternative ID). Beautiful family grounds in a castle park. Lovely water park with slides, bar and restaurant with views of the pool. Free fishing pond. Ancient trees in the castle park add ambiance. Marked-out pitches with small hedges. Excellent heated toilet block. Heated indoor swimming pool. Reception only open in the mornings 7/5-11/5. Would you like to book Campsite Château de Galinée or request more information? You can do both using the information below or by visiting the campsite's website. From Dinard take the D168, then take the D786 and after leaving Notre Dame, signposted after 3 km on the left. CampingCard ACSI will send your information request to "Campsite Château de Galinée".